March 4 we start sailing in the morning around 8 am. As we left a cruise chip arrived at Royal island. 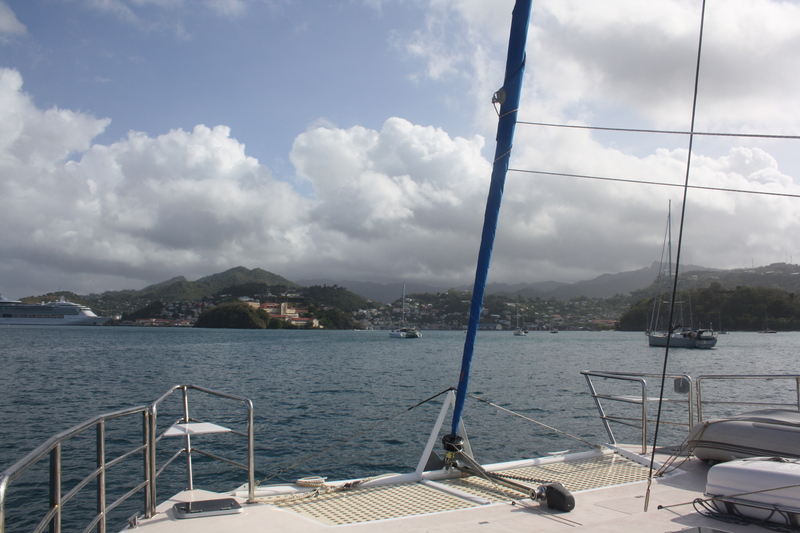 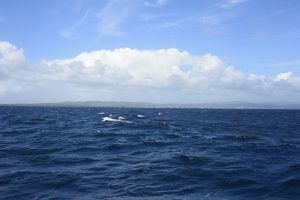 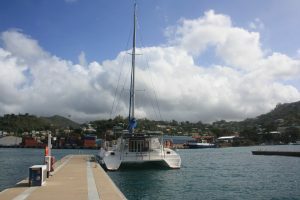 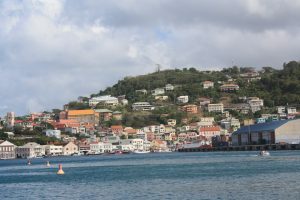 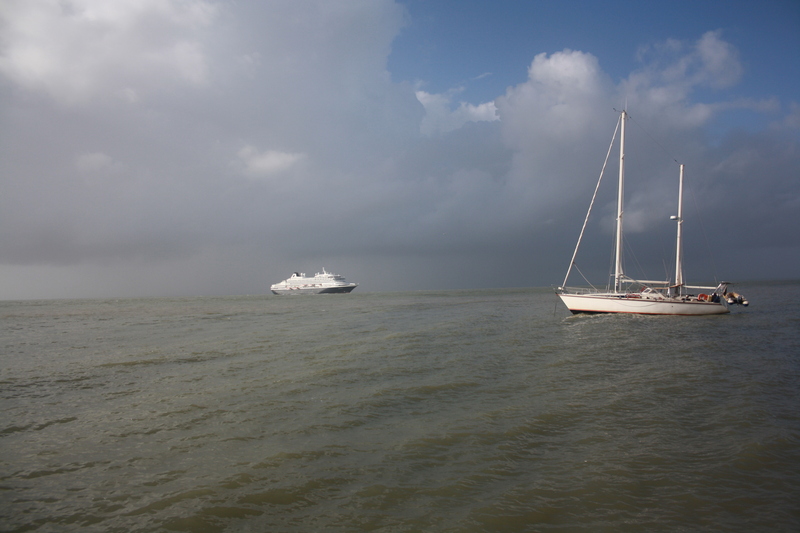 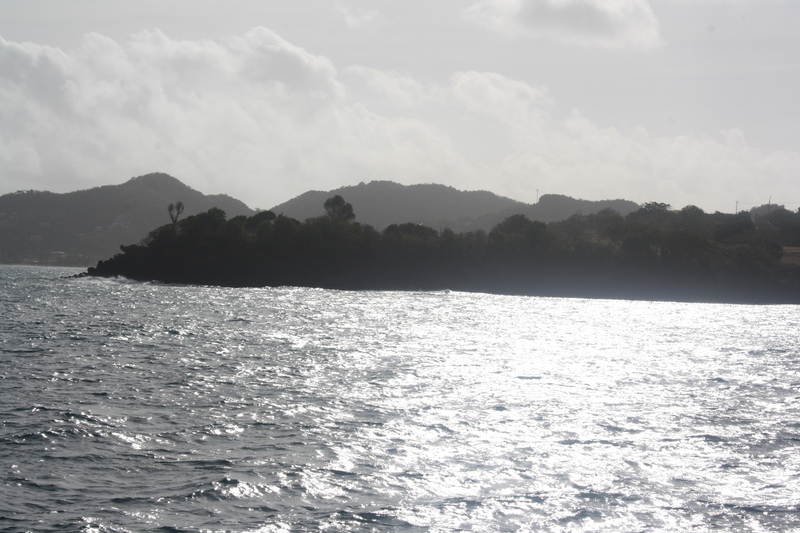 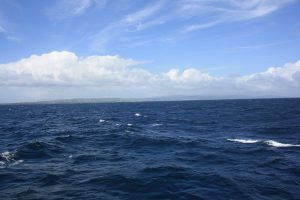 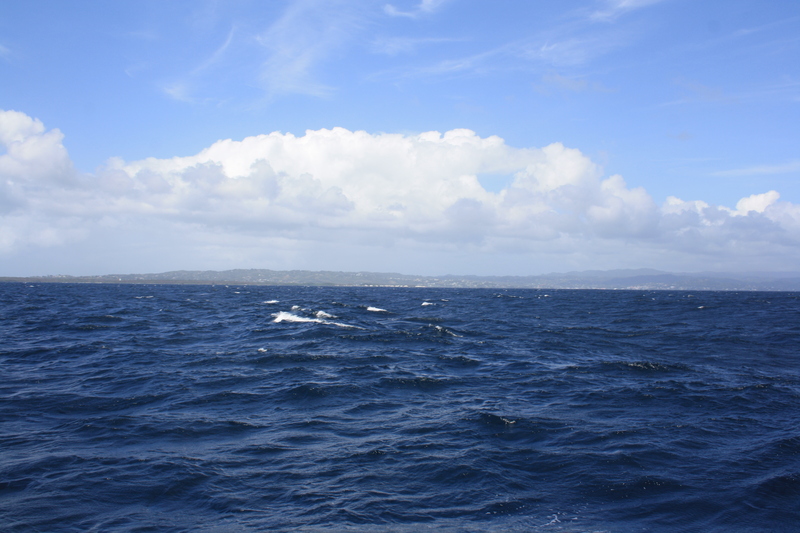 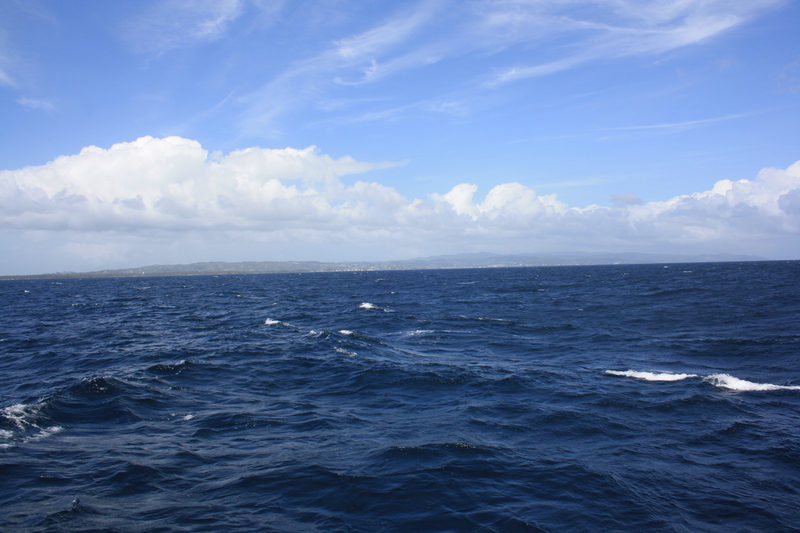 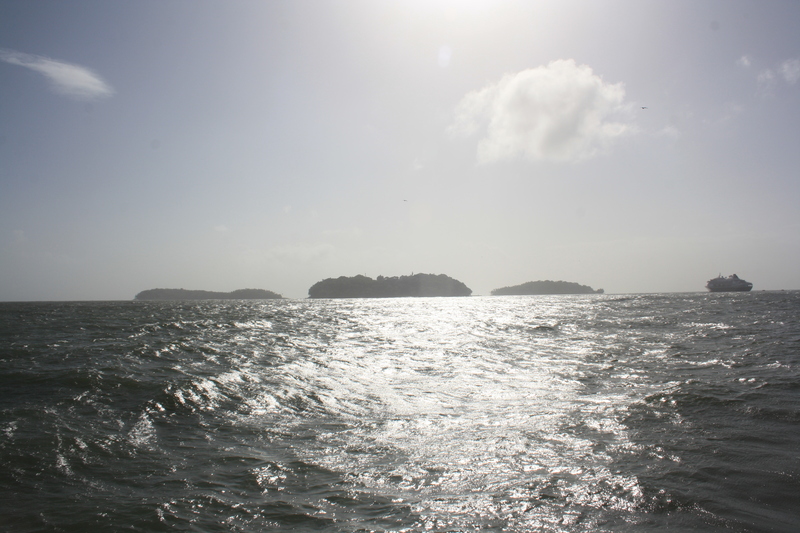 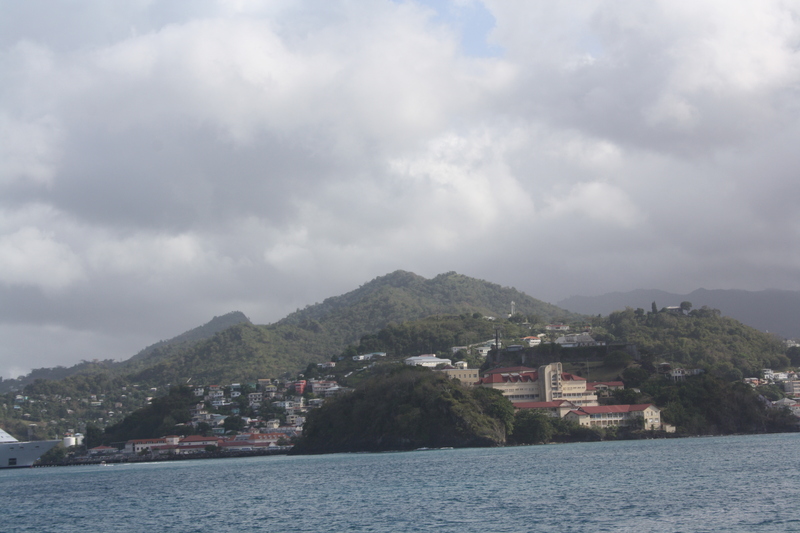 Sailing from Devil’s Island to Grenada was great. Every day we enjoy nice sailing. 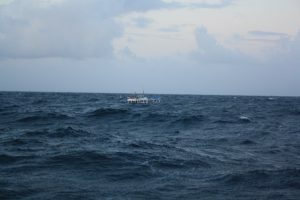 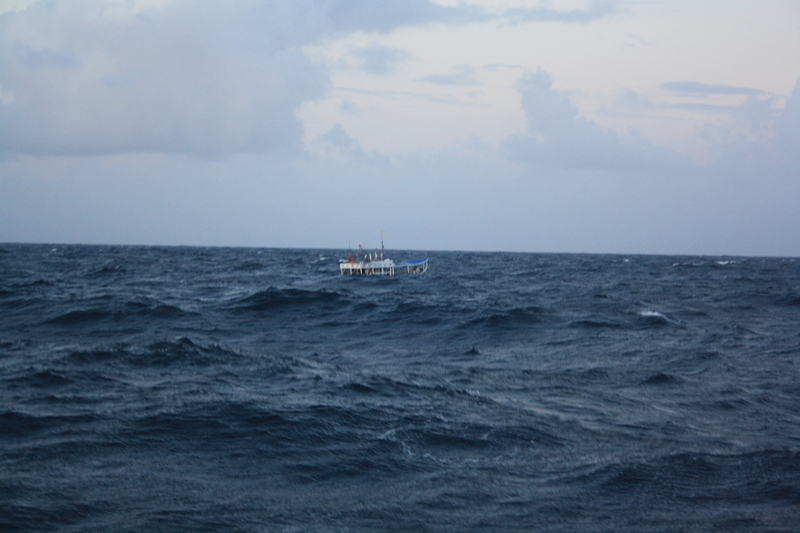 Wind changed and we go not very slow but waves are on the side of us. 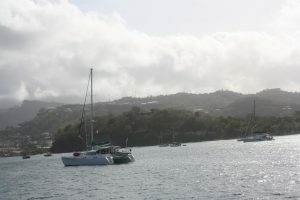 Boat rocks more than before. 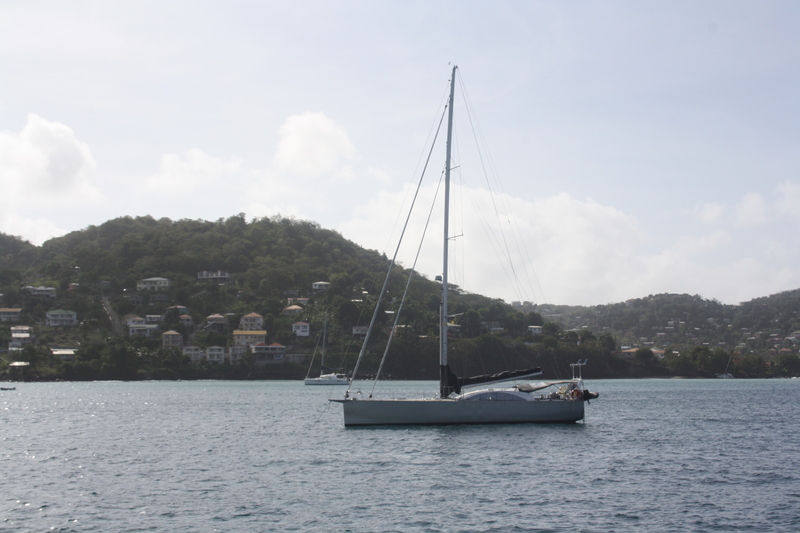 Still the sailing is good . 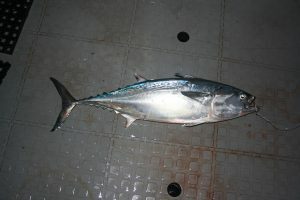 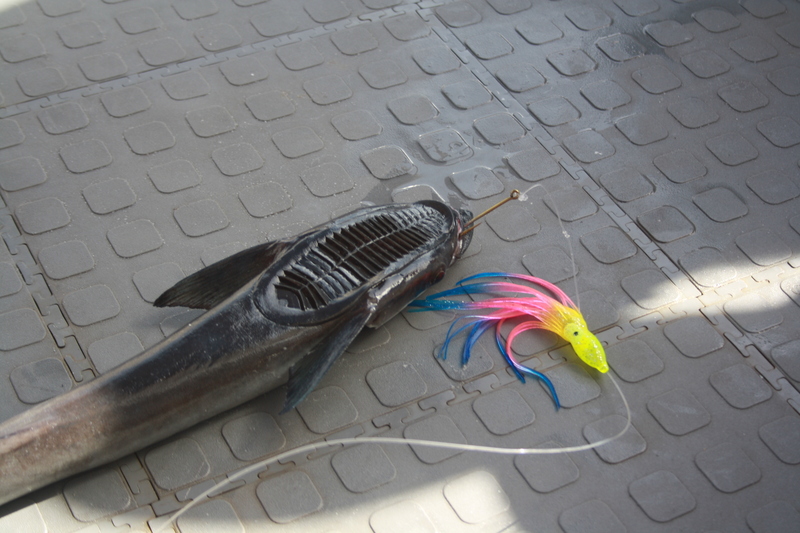 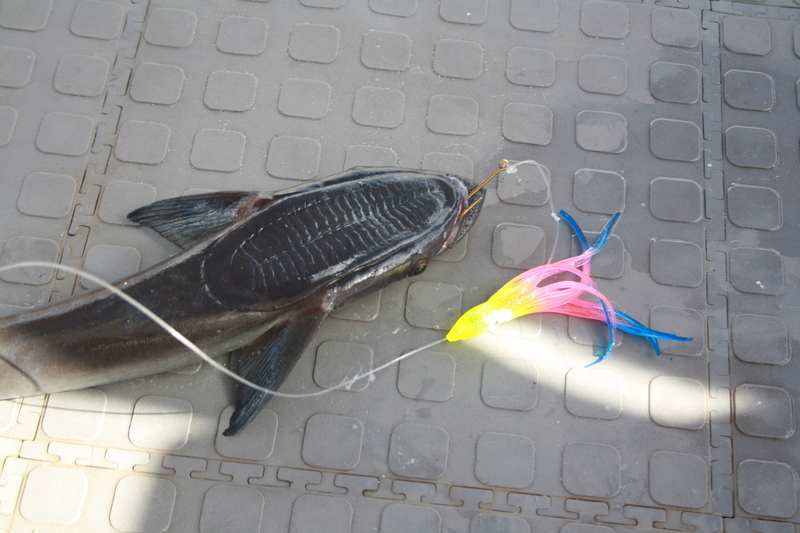 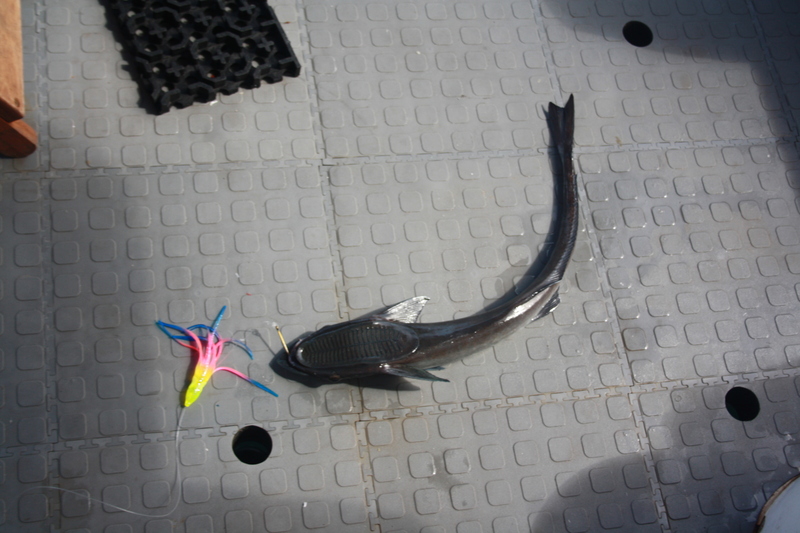 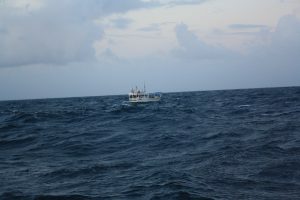 We always go not to fast round 8-10 km per hour and always have good fishing. Some day we catch fish that clean big fish (suckerfish). 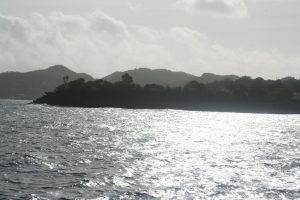 We see Tobago but I don’t have visa and so we do not stop there for a couple days. 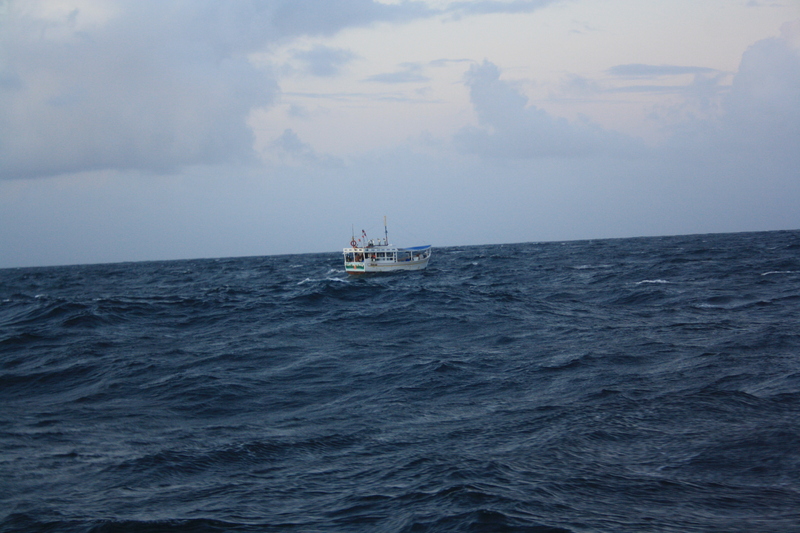 We see crazy small boat in ocean between Grenada and Tobago. 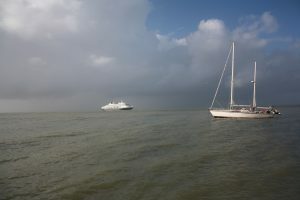 Just one day sailing from Tobago to Grenada. 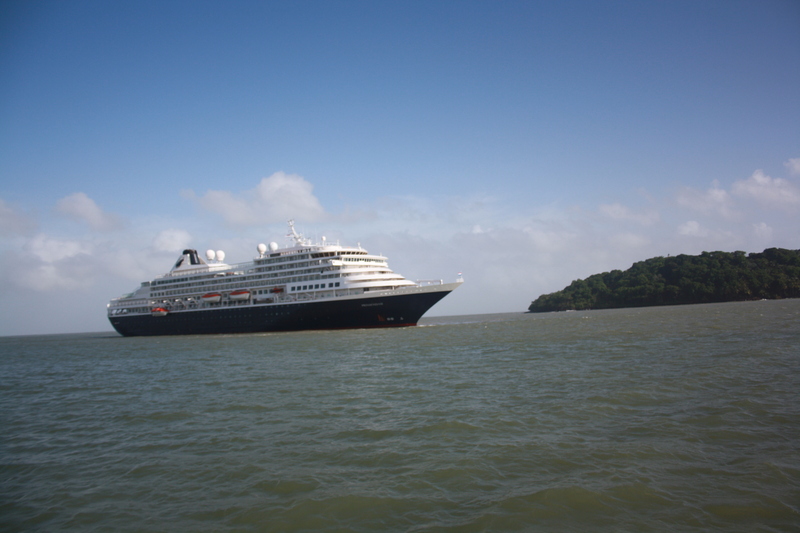 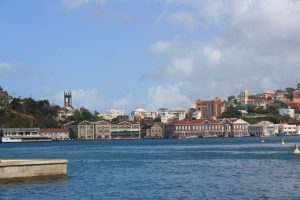 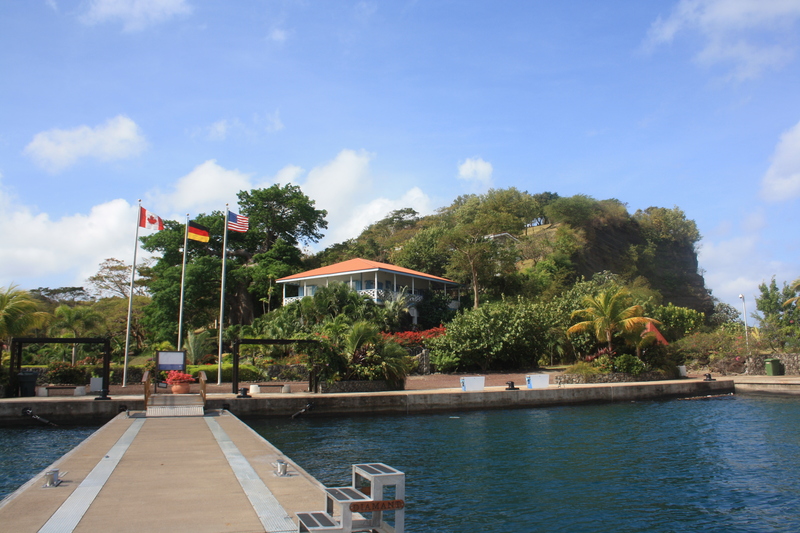 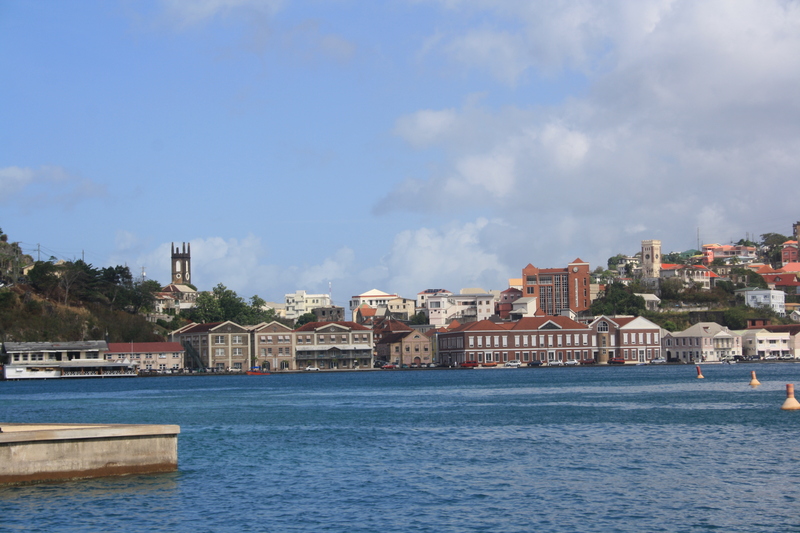 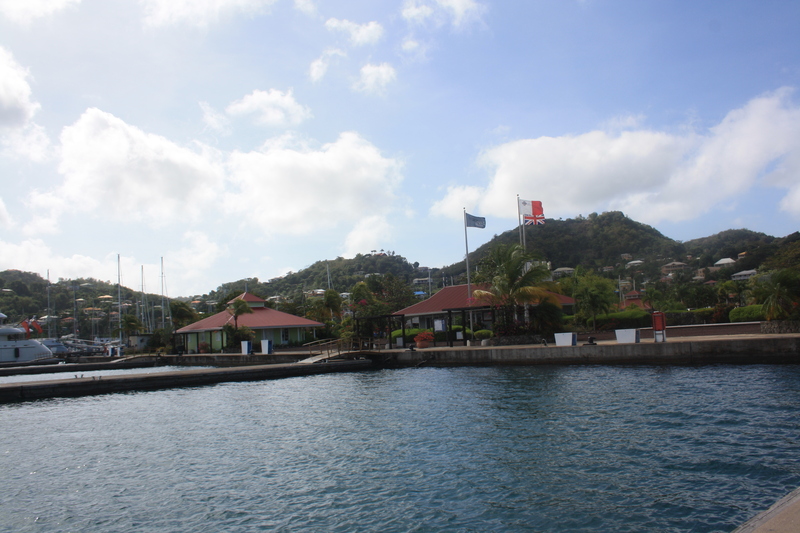 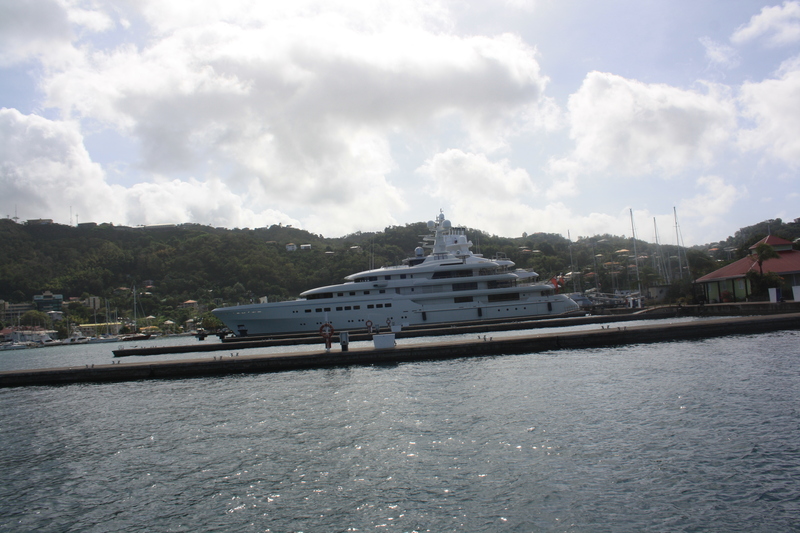 We arrive at Grenada on 10 March around 10 am. Call to port control and they said we need to go to yacht club or to Marina. 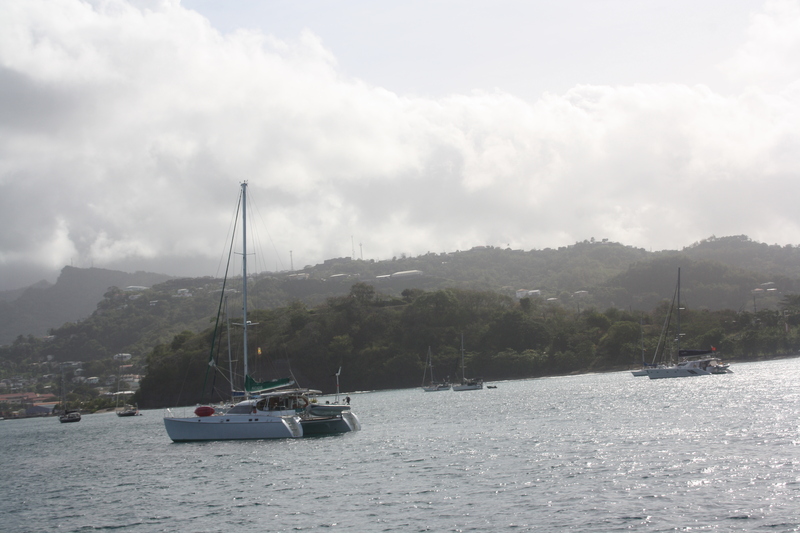 We decide to go to the Marina. 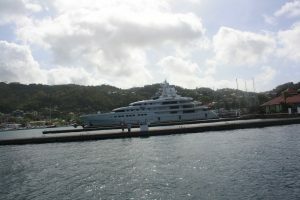 They have very big dock and our boat look small in that dock. 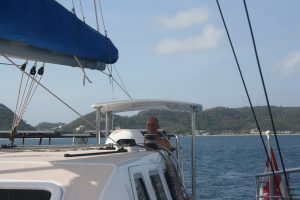 We have finished our long trip from South Africa!